Look around and tell me what you see. A room, four walls, pictures, a window or a garden? Can you see the sky? Can you see trees? Some of us are lucky enough to answer: Yes, I can see a garden or a tree while most of us live surrounded by concrete, steel, glass, metal, with no natural light, breathing filtered air eight hours a day. Every time we apply for a job, one of the questions asked by the interviewer is related to our work environment. “How would you describe your ideal job or work environment”? And what do we answer? “Nice people, an environment that allows one to climb the corporate ladder, learn, etc.”. How many of us have ever mentioned anything about the building in itself and its location or surroundings? I was surfing the Internet when I came across this page: http://www.oas1s.com/ and I spent a few minutes looking at the pictures, imagining myself living in one of those houses. Of course, I decided to contact Raimond de Hullu, the designer behind this concept, in order to set up an interview. He gladly accepted. From the very beginning, you should know that he grew up in rural Holland, an idyllic universe that seems surreal in the 21st century. The 41 yea-old-married-father of twins, a boy and a girl, lives in Wassenaar, a small village close to the forest and the North Sea coast. Nature is a constant component of his daily life. But is it enough to just live in such an area in order to come up with a concept like OAS1S? One needs to think about the future, about our individual needs and responsibilities. A strong desire to innovate is the engine that forages genuine change. How did he come up with this project? His inspiration goes years back, when he was a child and his father built a house. Raimond “fell in love with the architecture”. As a child, he used to spend long hours on the beach or in the forests, enjoying and observing nature. Later on, in college, he became interested in urban design and he maintained that interest combining it with the beautiful green walls concept and the “typical Dutch innovative spirit”. One night, in an inspirational moment, he put everything together in one concept. And that is OAS1S. UIB: Our society wants more and faster. How do you see this idea being implemented in our society? Will the 21st century technologically-addicted person embrace this concept? Raimond notices a massive opposing trend in our contemporary society as more and more people embrace green options: organic clothes, electric cars, alternative sources of energy or green buildings. He believes that “the desire to live in balance with nature”, in a purer, more conscientious and more harmonious way is becoming more and more common, as a “reaction to our technological age”. I do see what you describe, but on the other hand I see a large opposing trend. More and more people for example turn to slow food, organic fashion, electric cars, solar energy, or green building. I think the desire to live pure, conscious and harmonious, to live in balance with nature is getting bigger as a reaction to our technological age. UIB: What are the advantages and disadvantages of living in a house like this? What would the environmental impact be? “The advantage of living in an OAS1S™ house and community is to be in the city as well as in a forest.” says Raimond. He also added that “the walkability, the car-free environment the zero energy bill, the natural surroundings” are definite advantages. As for the disadvantages, in a jocular way, Raimond says that, once one experiences life in one of these houses, there is no returning to the previous lifestyle! The only disadvantage is that you could never go back to your old house or community, because life would never be as good there again. UIB: How is the location chosen? Where? It can be anywhere: within the city, on its outskirts or within any green area. UIB: What types of plants/vegetation is suitable for this project? Every project will have its own choice of vegetation according to the local climate. UIB: Do you see this project more like individual houses or small communities within a city? 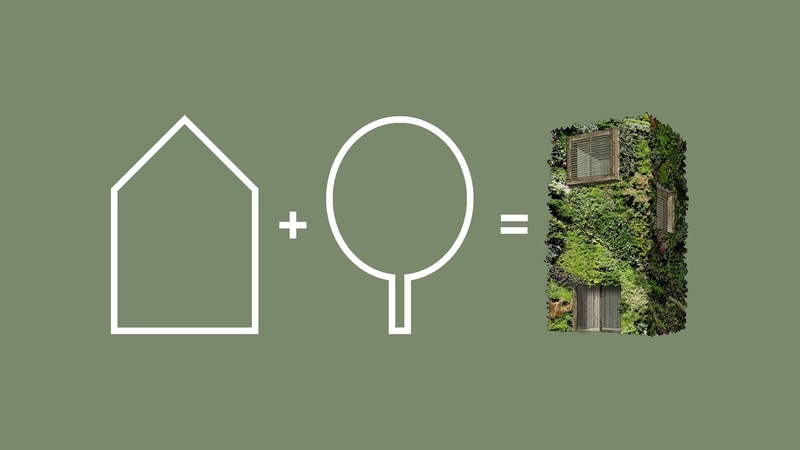 OAS1S™ is totally multi-functional green architecture. It can be many things: detached or clustered single-family housing, multi-family apartments, elderly housing, hotels or even offices. Commercial and recreational uses can be integrated on ground level, covered by green roofs on top. UIB: How much would it cost? UIB: Let’s talk about the materials used. UIB: Do you think that, if this idea becomes mainstream, it will basically change generations’ concepts of life? Could our society at large improve spiritually? “Due to the unprecedented population and urbanization growth, nature worldwide is under pressure. Mega-cities suffocate people with concrete and architectural junk” says Raimond. 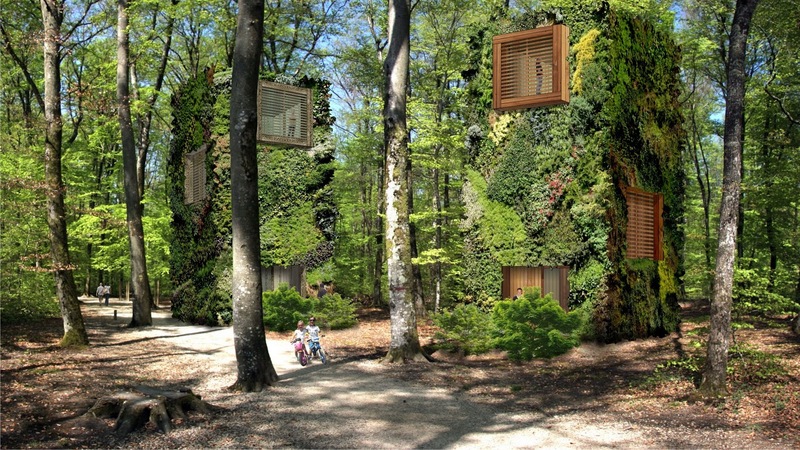 Green living with a new approach on the notion of home. “For centuries, human beings needed to develop cities for economic reasons” says Raimond, noticing a love-hate duality here. Indeed, we love the dynamism and excitement of a megalopolis, but at the same time, we dream to escape, at least for a weekend and live far from the… madding crowd. Raimond continues: “I do not think that people benefit from living in megacities as they have risen the past 100 years; it would be better to live in conglomerates of small, compact and green villages. But nature was, is and always will be the dominant force on earth. I think city and nature should be one, as it is better for both people and our planet. That is why I created OAS1S, to make the fusion between people and nature possible, by innovative green architecture, with a competitive urban density. And I think this meets people’s desire and need of green spaces, judging by the enormous attention that OAS1S got after its launch. 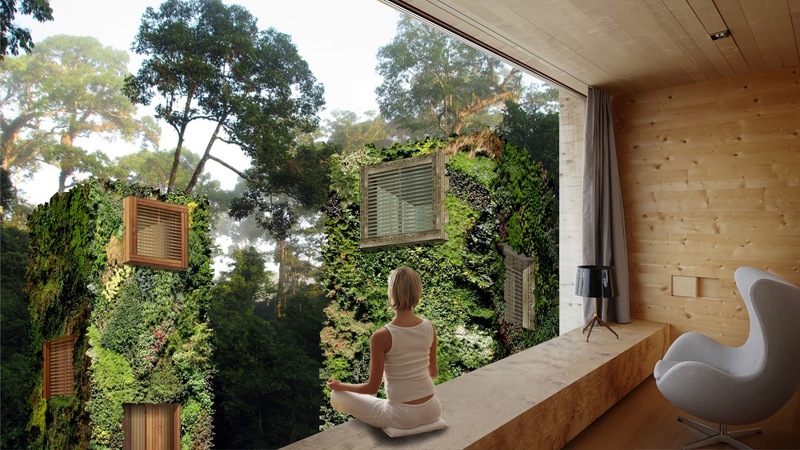 People are sick of the endless modernistic concrete jungles and want an urban oasis. But a city is a diverse system and OAS1S communities will add to the wonderful diversity of cities worldwide. As all eras have created their own architecture, I think it is now time for 100% green architecture. UIB: I am imagining a completely new work environment with offices, schools, hospitals embracing this concept. How are you advertising OAS1S and what has the reaction/feedback been so far? Raimond de Hullu: We are very thankful for the huge amount of positive reactions of the global press and potential clients, investors and partners, people from all sorts of backgrounds from all over the world. The concept apparently hits a deep human need. Everyone is interested, from hippies to yuppies, from housewives to CEOs, from Harvard to Greenpeace, you name it. I only sent a message to inhabitat.com and from there on it went viral very fast. Offices, schools and hospitals are not the objective of the plan, as this type of buildings require different measurements. The objective is housing and recreational spaces mainly, and the interest has been very encouraging. UIB: Are there any homes built so far? Raimond de Hullu: I am extremely passionate about this concept and I enthusiastically invite all interested parties (private, corporate, governmental, NGO’s) to respond so we can start a project soon. At the moment, we are considering the best options and we will start the first projects soon, probably in September. At least a lot of beautiful locations have been offered, most of them within nature reserves. UIB: What is your message to the world? Raimond de Hullu: I want to make a deep and lasting difference and introduce a completely new building typology. Therefore the mission of OAS1S™ is to introduce to the world the ultimate green architecture where nature and people truly become one. The aim is to improve cities by the timeless qualities of trees and forest, Earth’s most ancient, important and appreciated structures. The OAS1S™ architecture answers to the deep human need to become one with nature. OAS1S™ is a passionate and innovative answer to our current need for sustainable, global urbanization. A win-win concept for people, nature and society, with a mission for radical urban improvement. Please connect with OAS1S™ on FACEBOOK, TWITTER or PINTEREST.